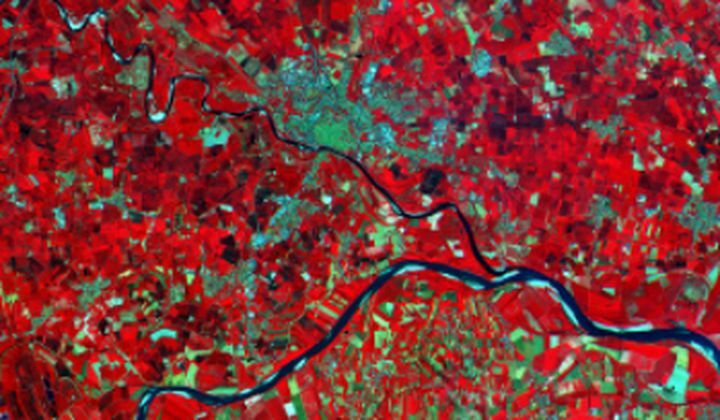 After reaching orbit less than a week ago, on June 23, the ESA’s Sentinel-2A is sending back its first images, including this one (right) of Italy’s Po Valley, in high-resolution infrared. The Earth observer was built to study vegetation, with instruments that measure plant characteristics like the surface area of chlorophyll on leaves and water content indexes. The data from Sentinel will be used mostly for crop yield predictions and forest monitoring; it can also track lake and coastal pollution, and monitor natural disasters like floods and landslides. The next satellite in the fleet, Sentinel-2B, will launch in late 2016.